Physical Features: Central Texas Blackland, level to hilly; black to light soils in west; mixed timber; Belton Lake, Stillhouse Hollow Lake. Economy: Fort Hood; manufacturing includes computers, plastic goods, furniture, clothing; agribusiness; distribution center; tourism. History: Tonkawas, Lipan Apaches; reduced by disease and advancing frontier by 1840s. Comanches raided into 1870s. Settled in 1830s as part of Robertson’s colony. A few slaveholders in 1850s. County created from Milam County in 1850; named for Gov. P.H. Bell. Race/Ethnicity: (In percent) Anglo, 45.6; Black, 24.0; Hispanic, 24.8; Asian, 3.3; Other, 2.0; Two or more races, 4.6. Vital Statistics, annual: Births, 6,496; deaths, 2,274; marriages, 3,688; divorces, 2,121. Recreation: Fishing, hunting; lakes; historic sites; exposition center; Salado gathering of Scottish clans in November. Agriculture: Beef, corn, sorghum, wheat, cotton. Market value $84.9 million. BELTON (21,157) county seat; University of Mary Hardin-Baylor; government/services; manufacturing; museum, nature center. KILLEEN (143,334) Fort Hood; Texas A&M University–Central Texas and Central Texas College; regional airport; retail center, varied manufacturing; hospital; museums, planetarium; Four Winds Powwow in September. TEMPLE (74,488) Major medical center with two hospitals and VA hospital; diversified industries; rail, wholesale distribution center; retail center; Temple College, Texas A&M College of Medicine; Azalee Marshall Cultural Activities Center; Czech museum; early-day tractor, engine show in October. 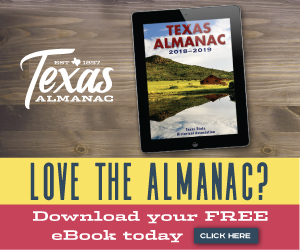 Other towns include: Harker Heights (30,328) Founder’s Day in October; Heidenheimer (224); Holland (1,139) corn festival in June; Little River-Academy (2,000); Morgan’s Point Resort (4,313); Nolanville (5,005); Pendleton (369); Rogers (1,250); Salado (2,062) tourism, civic center, amphitheathre, art fair in August; Troy (1,090). Also, part  of Bartlett. Fort Hood has a population of 30,959. Army troops at Fort Hood meet near their barracks. File photo.